I found this on Faz the Cat. Politics Explained - with Cows. an associated general offer so that you get all four cows back, with a tax exemption for five cows. I took this photo at The Big Show by the Lawndale Art Center. 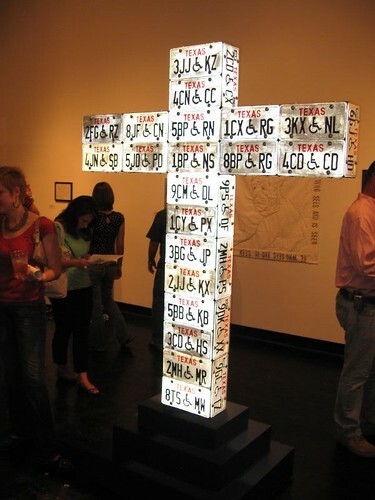 I was attracted to the piece, I think because it's made from found objects, or maybe because of the license plates. When I took this photo, it was a fluke that it came out the way it did because of the flash on the camera. I got really lucky on this one.